A genius new comedy musical created by a very talented pair. 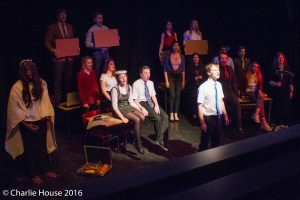 SUSU Showstoppers warmed up their vocal chords once again this summer, with their independent show Freelancers, an original musical written and directed by Aidan Pittman and Robbie Smith and performed in the Annex Theatre for only two nights. 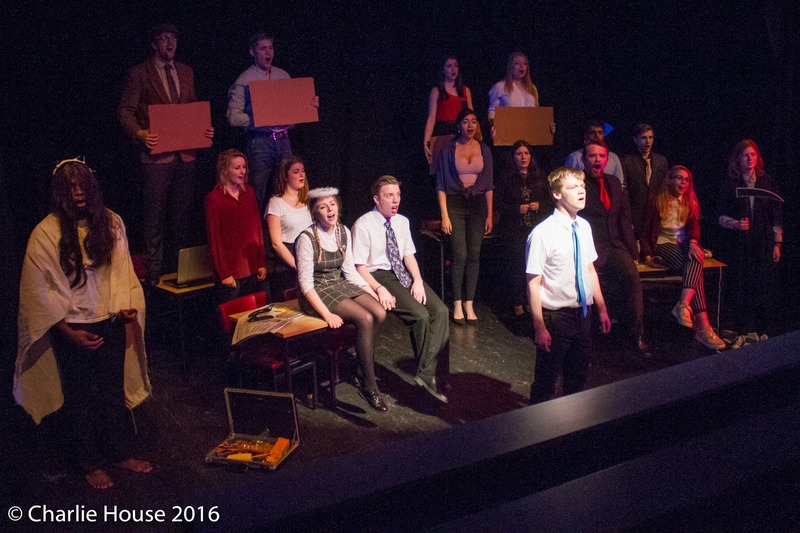 Putting on an original musical to a group of (mostly) students is like baring your soul to the devil; but that’s the challenge the pair took on, resulting in one of the funniest shows of the year. Although the opening started off modestly, the cast soon came into their colourful (if not bizarre) personalities, with Josh Vaatstra setting the scene nicely. Vaatstra shone in the role, bringing sweetness to the character of Daniel, with flawless projection and enjoyable vocals. The loveable rogue’s contrast to Emily Bradshaw’s ingenious portrayal of Becky Rooks was second to none, with Bradshaw stealing the stage in every one of her scenes. Bradshaw had the audience eating out of the palm of her hand: every offensive remark brought buckets of laughter, resulting in one of the strongest performances of the night. Phoebe Judd (Penny) bounced off Vaatstra impressively, with refreshing vocals and strong acting skills. The cast were excellent apart from a few weaker performances in terms of vocals, but this was not enough to distract from the piece as a whole. 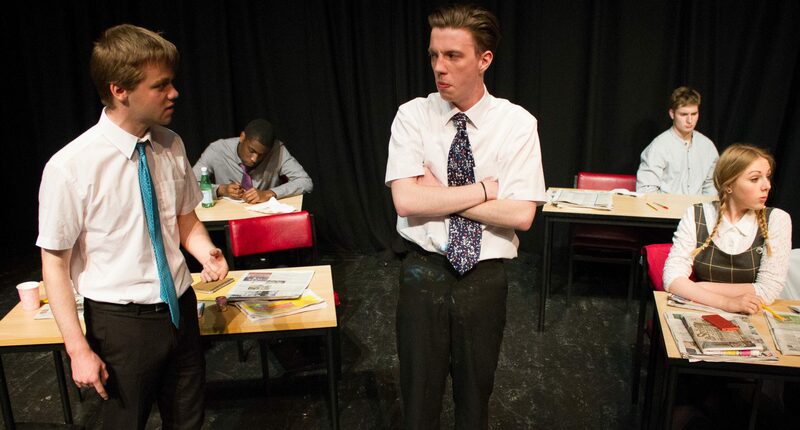 Special mention must go to Ben Willcocks for his performance as the endearing (if not deluded) Quentin Central and also to Gracie Roach (Tina) for an expertly played ‘office bully,’ with Naida Allen (Moira) complementing the latter impeccably in a turbulent double-act. The show stealer for me though, has to be Charlie Randall. 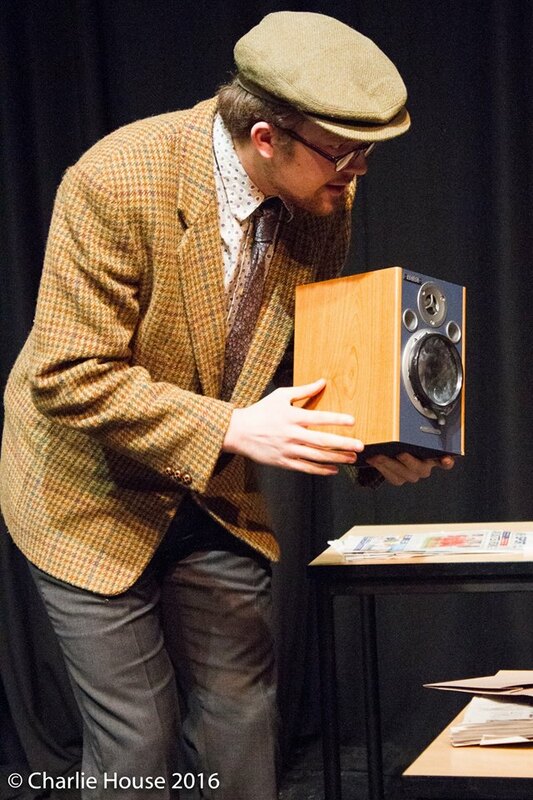 Randall played the hilarious food addict, Paul Muddle, with exceptional comic flair and faultless delivery; anyone who manages to eat that much food throughout an entire performance without corpsing deserves a high rating in my opinion. The black-box style of the set worked well against the props and costume. The latter completed the spectacle nicely, without ever looking too bare or lacklustre. Special mention must also go to the band who, along with composer Robbie Smith, delivered flawless sound. Smith’s score was punchy and addictive, supplementing the action on stage without overwhelming it. Ruthie Pinion’s choreography deserves credit too, being the cherry on top of a seriously appetising cake. To summarise: the production team’s creation deserves major recognition, especially considering that this is the show’s first attempt on stage. The wacky characters were believable and I am 99% certain I have sat with some of them on train journeys in the past. The writing was outstanding, albeit a small amount of editing is required (offensive versus very offensive…) but nevertheless, the show is certainly promising for the future and I hope to see it again very soon and on a professionally accredited stage. A serious well done to all involved. Freelancers was at the Annex Theatre. The trailer can be viewed here.